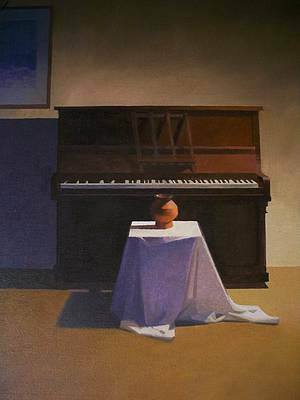 Right now we are waiting for new Peter KELLY Art to arrive at the gallery. In the meantime, here is a selection of the artist's archived art work which has featured at Red Rag Art Gallery. If you wish to register to receive updates and alerts when new art work from Peter KELLY arrives select this link. Peter Kelly was born in 1931. As a young artist Peter was educated at the West Ham School of Art and Technology. Kelly later attended the Central School of Art and Design in London. 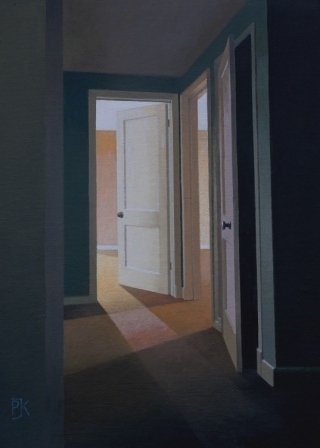 Peter Kelly contemporary paintings demonstrate meticulous austere draughtsmanship. 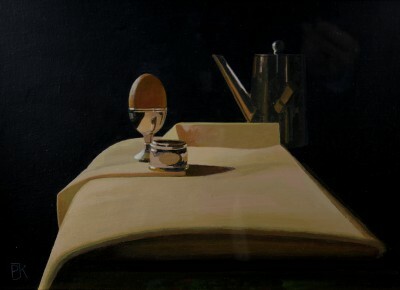 Kelly paints interiors, landscapes and still life always displaying an exquisite mastery of light and shade. 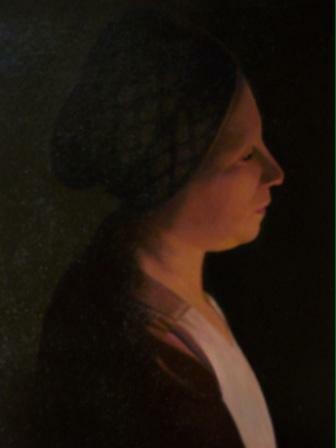 His treatment of architecture subjects displays fine Classical draughtsmanship which characterises his work. His paintings are often inspired by the light of deserted side streets, interiors and empty arcades of Venice, Istanbul, Amsterdam and St Petersburg. 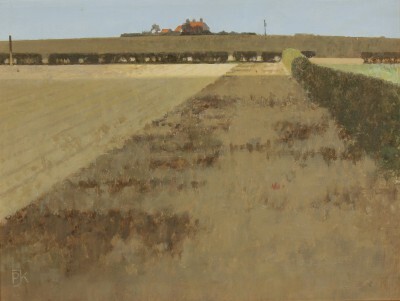 His paintings are quietly understated and the subelty of his work demands and rewards quiet contemplation. 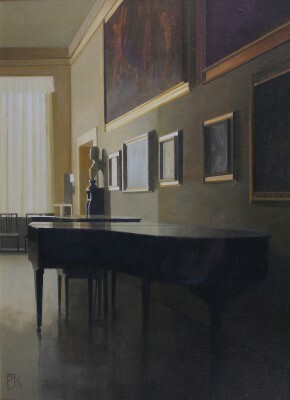 The preference of Peter Kelly for a calm tonal palette and mastery of contrasted light gives his paintings an aura of quiet contemplative restraint reminiscent of the Dutch and Scandinavian Schools of Art and in particular the art work of Vilhelm Hammershoi. 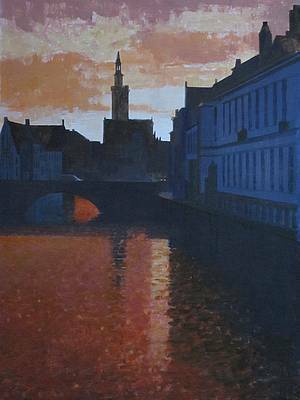 Peter starts his paintings with a sketch recording colour and composition on a small scale, but accurate in colour and tone values. He may repeat this process three or four times until a satisfactory result is achieved. Taking these inital sketches to the finished painting size may take several alterations in colour and composition, but the alterations add to the finished quality of his paintings. 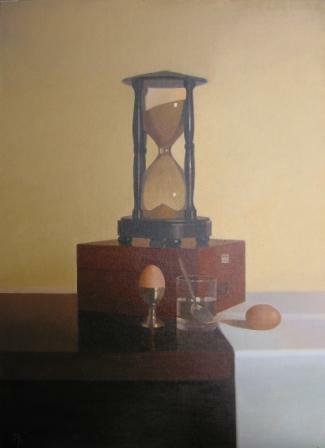 Peter Kelly is the recipient of many art prizes and awards. 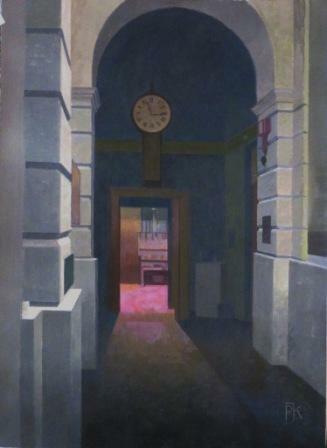 In 1982 he was elected a full member of the Royal Society of British Artists. 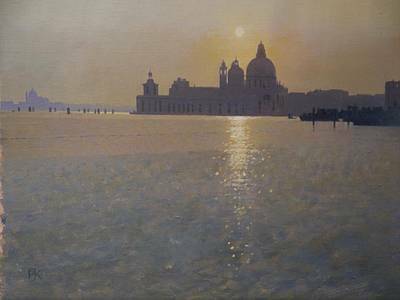 In 1995 Peter became a member of the Small Painting Society and in 2007 he was appointed a member of the New English Art Club. 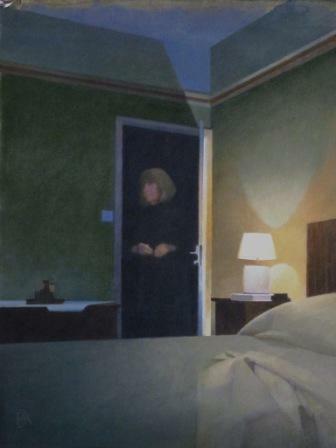 In addition to Red Rag British Art Gallery Peter Kelly has exhibited at other leading British Art Galleries. 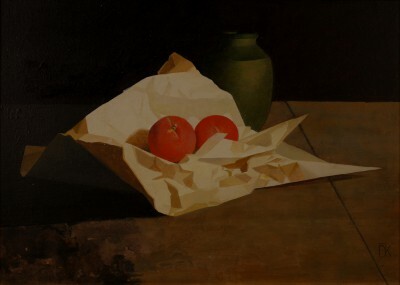 Each painting at Red Rag is sourced from the Peter Kelly artist studio and like all Red Rag British art and Contemporary art it can be shipped worldwide.